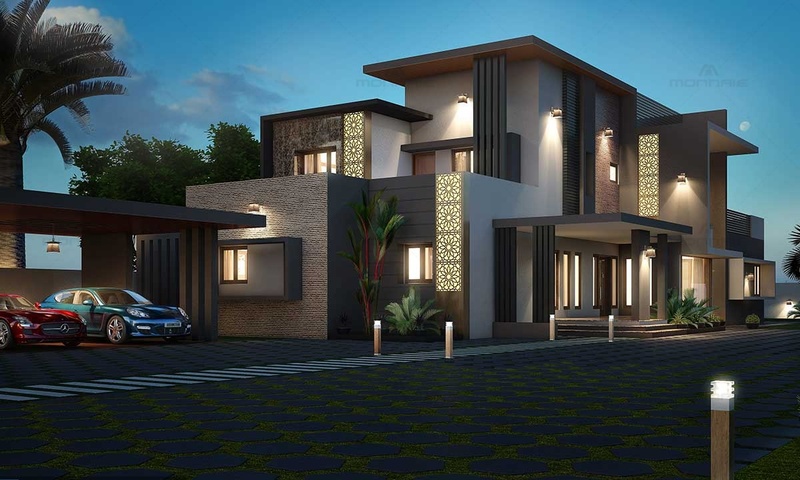 By embracing the architecture of the Present and not letting go of the beauty in the past, this contemporary eclectic style home captures the Arabic motif gracefully amongst the latest design trends. The beautifully done mashrabiya latticework on HPL sheets along with the marble cladded walls is the main highlight of this house. The vertical pergolas, the flat roof, the horizontal louvers, long French windows and its box sunshades together enhances its contemporary nature. The coffee brown and grey colour scheme compliments the Arabic style of the house. 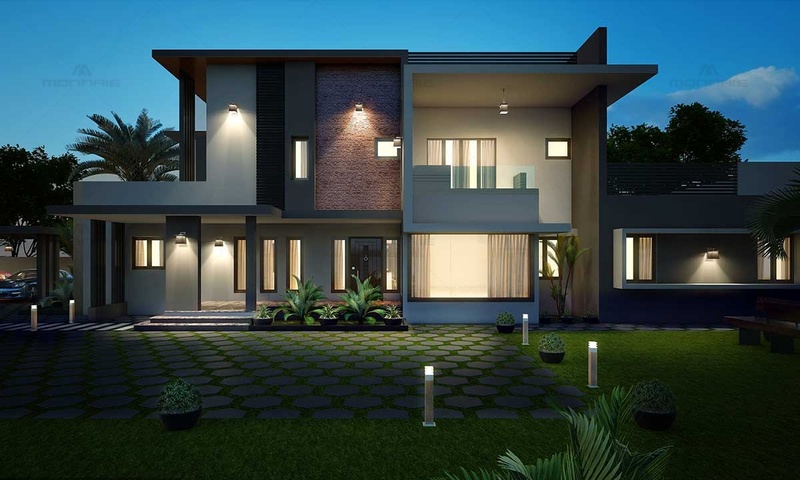 Being one of the best architecture firms in Kerala, the challenges in designing a spacious 6 bedroom home within a linear site was tackled exquisitely by the team. The interior spaces are well ventilated and the addition of courtyard spaces within the design helps in letting more daylight into the house. As one of the top architects in Kasarkode, Kerala, this courtyard house was designed as per the Northern Kerala traditions, giving maximum privacy to areas handled by the ladies in the house.